Please call the House office and ask to talk to the legislative assistant that works on Natural Resource committee issues for the Congressperson. The receptionist will ask what you are calling about, what your name is, and what (if any) group you represent. Tell them that the call is about H. R 1904, the Oak Flat land exchange bill. 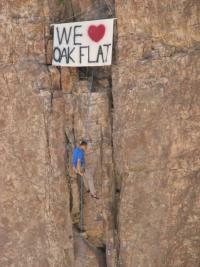 We want to know exactly what the consequences of a mine at Oak Flat would be BEFORE any land exchange is approved. The land exchange will do more harm than good for Superior. We can’t afford to lose Oak Flat Campground and the resulting tourism industry that the mine would destroy. Water is more precious than copper. We don’t want to give our valuable public resources to a foreign company. NEPA studies must be done up front. Add your own short reason. Make sure that you ask the Congressperson to oppose H. R 1904 and ask them if they have any questions. If they ask you a question you don’t know the answer to, tell them that you don’t know, but that you’ll find out and get back to them Don’t make something up. Get in touch with us and we’ll find out the answer for you. Thank them for taking the time to talk with you (of you reach someone in person). Please make sure you get back to the office if they asked a question you couldn’t answer. Members marked with and asterisk (*) are on the National Parks, Forests, and Public Lands Subcommittee. All I can say is wow! What a great job done in putting together the testimony report. All 13 pages was very informative and easy to comprehend. 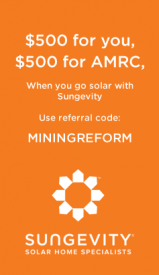 I was brought to this website as a result of an article in the Arizona Republic regarding this mine and on its face in the article this land swap didn't sound like a bad idea considering the tax payers stood to gain twice as much land in exchange. The economic impact purported by the article was also enticing and it wasn't until I read your report that it became clear to me that this probably isn't as good a deal for tax payers afterall. I can only hope that legislators also read your testimony before voting. There is big money behind this legislation and in my 46 years of experience in this world anytime there is big money behind politics you find corruption and greed. Lets face the facts. The mining company is only interested in making money and not what the short term and long term effects their mining operation does to our lands. They will remove all the ore and when done leave this hole in the ground and the surrounding damage and not even look back with any sense of remorse. I applaud this coalition efforts and frankness in bringing to the attention of people such as myself the real truth behind this proposed project. Two things immediately come to red flags for me on this proposed land swap and mining project. 1. Foreign mining company. 2. Politicians involvement. I for one will be watching this closer and contacting my various congressional representatives to not vote in favor on this proposed land swap. I feel the risk versus rewards are just not in the best interest of US citizens and for all that enjoy the beauty and history of our public lands. There are just way to many valid issues and points brought up by this well thought out and written testimony to allow congress to rubberstamp this legislative bill into law. Thank you for a very informative report and I will be sure to forward a copy of this to everybody in my contact group.